Fathers Day is nearly here, how fast did that come around! Every year Dads around the world get a pair of socks, T-shirt and a pint glass. 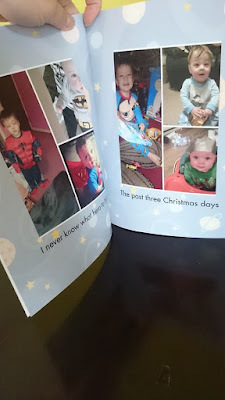 This year Liam will not get any of these as we were so lucky to be asked to review some products from Snapfish, I also have a discount code for you lovely readers. I had a look on the Snapfish website which is really easy to use. You can create an account for free by either filling out the form or you can use your Facebook to login. I had a look around the website at the products, I had picked a few that I liked the most. I set these to one side and let my son have a look see what he would like to get Daddy. Now he is three years old so took a lot of explaining before he chose what he wanted to get Daddy. 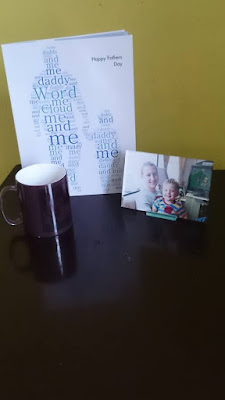 We chose a photo book, an acrylic photo print and a mug. The photo book we chose was soft custom cover with twenty pages. The size is perfect for what we wanted, we created a word cloud for the front cover with a pattern of a daddy holding his sons hand. I then spent hours finding pictures I wanted to use, the best thing about logging in with facebook is you can access your facebook pictures through Snapfish making the uploading process so much quicker. I also created a few collages of pictures to put inside to use as many great pictures as I could. On each page I added some text either relating to a memory, a phrase my son says or just highlighting certain things. I love how you can literally customise every single page, including the back page. You can also choose a theme for your book so the pages aren't totally blank in the background, Jared chose a space theme. We are really happy with the book, some of the pictures I used were low resolution but they have came up great!! All pictures are a correct size no cut off parts that I know can sometimes happen when creating things online. 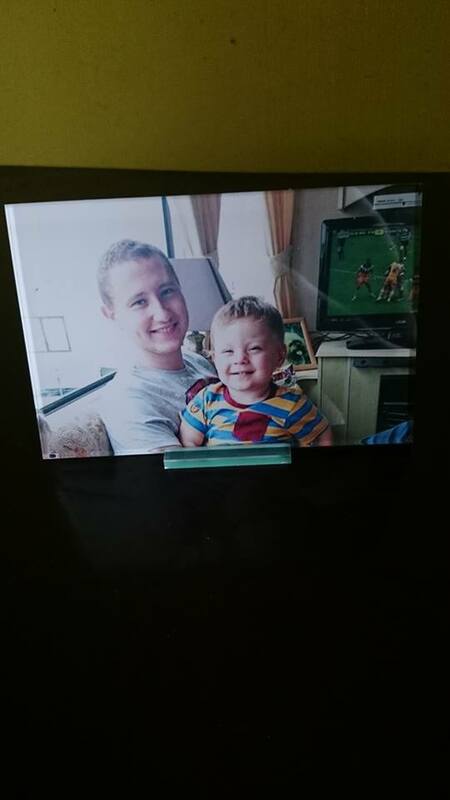 We chose the acrylic photo print so that daddy could have a new photo on his desk at work. As this is for him to have on his desk at work we chose to have the smallest size 6x4". This was so simple to create we just chose the size chose the picture and then added it to our basket. I let Jared choose the picture and he chose one of him and daddy while we were on holiday, the one with rugby on in the background as he said "daddy like a rugby and Jared like a rugby." When this arrived again me and Jared were so pleased however I did kind of break the stand that the panel sits in so I have had to do a bit of DIY to keep that together. If you decide to get one of these please do not try and force the panel in at an angle. The quality of the acrylic print is great, I already have some acrylic photo blocks and the picture quality isn't that great and they also had bubbles on them. These are bubble free and look amazing it will look so good on his desk. The final product we picked was the mug, Snapfish offers a few different types of mugs, we picked the magic mug. We used are already uploaded pictures to create a collage of pictures, which will shuffle around for you if you click the shuffle button when creating. They aren't magic in the sense they can move but maybe snapfish would like to use that idea? !You can use a maximum of fifteen pictures and there are fourteen colours to choose from for a background. So we got our piccys where we liked them and gave a splash of colour to the background of where the pictures are. Added a title and Hey Presto, we had done our mug. When the mug arrived I boiled the kettle and watched as the plain black mug slowly revealed our collage of pictures. Jared was amazed and now thinks he is a wizard so all happy with that!! My overall experience of shopping with Sanpfish has been great. I love how easy it is to upload pictures and create a personal product. 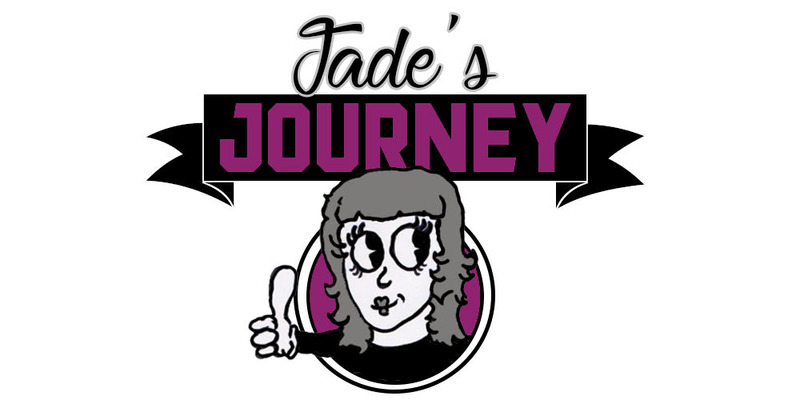 The website is easy to use and navigate around, this helps with making the process of picking what you want a bit quicker. If once you have created your item and you change your mind, you can change parts to your order or if you order one and someone else says they want the exact same you can re order as it will be saved in your purchase history. We will be wrapping these gifts up with home made wrapping paper, we will be finger printing on some large paper and making a hand print gift tag. 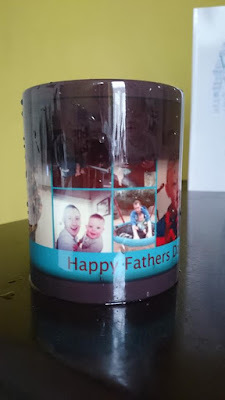 I have a discount code for you to use to get 50% of all Fathers day best sellers this includes all photo books, mugs, cards, 6x4 acrylic ptints, acrylic blocks, photo panels, jigsaw puzzles, mousemats, keyrings and large prints. Just head over to Snapfish and enter the code: SFUK50FD this is valid until the 15th of June 2015. June 15th 2015 is also the last day to order your gifts for fathers day.